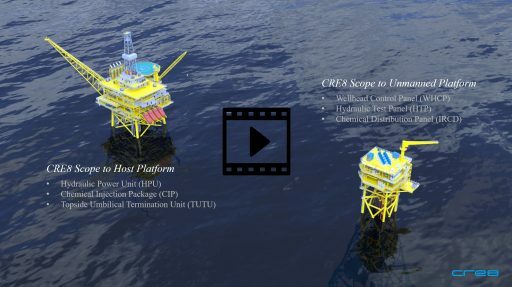 CRE8's long experience within design of remote hydraulic systems to Subsea Projects have been a great advantage when designing hydraulic systems for unmanned platforms. We have selected components with high MTBF figures and low rating in regards to external or internal leakages. This combined with our philosophy of easy access and logical lay-out has been well received by our customers for remote controlled unmanned platforms. Please contact us for a detailed 3D presentation of our complete solution for unmanned platforms.